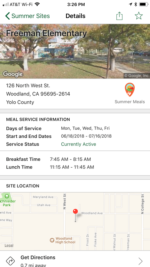 For a list of FREE Summer Food Service Sites in Yolo Couty please click the link below. 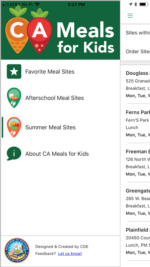 New CA Meals for Kids FREE Mobile App! 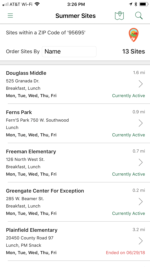 Find nearby Afterschool and Summer Meal Program Sites through your iOS, Android, or Microsoft devices. Click the link below to download.